Brother and sister dragonology students Daniel and Beatrice Cook are looking forward to returning to their studies with Dr. Ernest Drake and Erasmus, their dragon tutor. 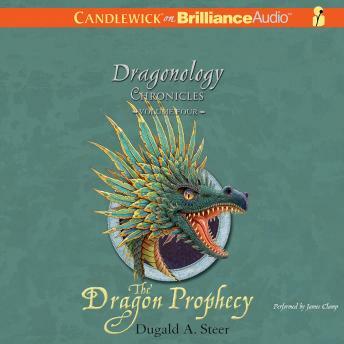 But when they discover that the evil dragonologist Alexandra Gorynytchka is searching for the fearsome Hammer of the Dragons - an ancient weapon that can kill hundreds of dragons in a single stroke - Dr. Drake and the children pursue her all the way to the Lost Island of the Dragons, where she is amassing an army of enslaved dragons. There they learn of the Dragon Prophecy, according to which the return of the Hammer of the Dragons can be stopped only by two children "wise beyond their years in the ways of dragons." Could the prophecy point to Daniel and Beatrice? And can they save dragonkind before it's too late?